I love to travel, and that includes lots of maps! 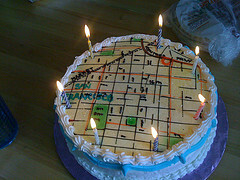 A map cake based on a map would be perfect for someone like me, and for the favorite traveler in your life! This cake is made to look like a map, and would be a perfect travel theme cake for an adult birthday who likes to travel or who does a lot of traveling with their job. 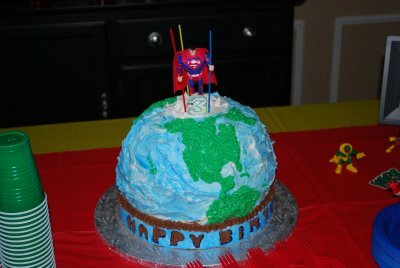 Other ideas for a travel cakes include making a cake to look like a globe or a mode of transportation. 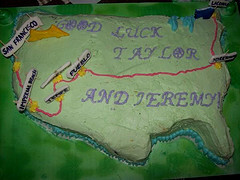 Other uses for this cake include a bon voyage party, vacation party, road trip party, or around the world party.